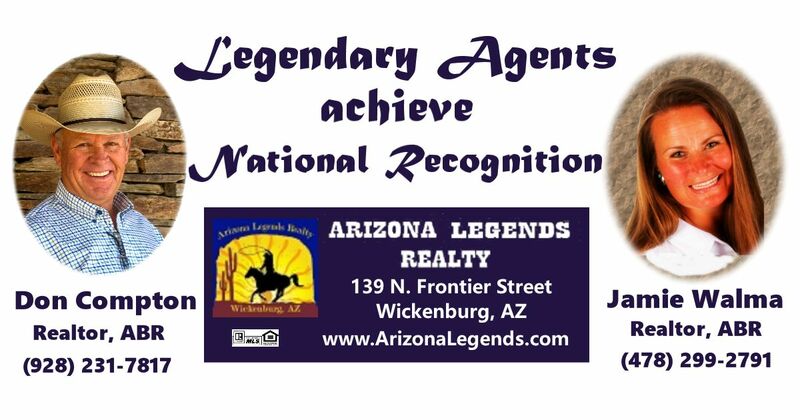 Local Wickenburg Realtors, Don Compton & Jamie Walma, earn National ABR Designations. Currently employed with local Real Estate Brokerage, Arizona Legends Realty. Jamie Walma & Don Compton both Realtors with Arizona Legends Realty have recently been awarded the Accredited Buyer’s Representation (ABRâ) designation by the Real Estate Buyer’s Agent Council. (REBAC) of the NATIONAL ASSOCIATION OF REALTORSâ (NAR). Jamie & Don join more than 30,000 real estate professionals in North America who have earned the ABRâ designation. They were required to successfully complete a comprehensive course in buyer representation and an elective course focusing on a buyer representation specialty, in addition to submitting documentation verifying professional experience. Jamie & Don are both currently working on their GRI (Graduate Realtor Institute) designation which will provide them with additional in-depth market knowledge and increased proficiency in a broad array of subjects that will increase their ability to better service their clients. Arizona Legends Realty is a Full-Service Real Estate and Property Management Company owned by Broker, Jorja Beal. Jorja Beal also holds the ABR and GRI designations as well as several other professional designations. The Realtors at Arizona Legends Realty subscribe to the philosophy that “Knowledge is Power”, as they continue to gain designations, education and market knowledge. Feel free to stop by their office in the historic Wickenburg Downtown area, located at 139 N. Frontier Street. The office phone number is: (928) 684-3911, and you can also find them on the internet at www.arizonalegends.com. Whether you are interested in Land/Lots, Rentals, Commercial Properties or Homes, we can help you. Arizona Legends Realty is a full service real estate office providing experts in all areas of the real estate market. 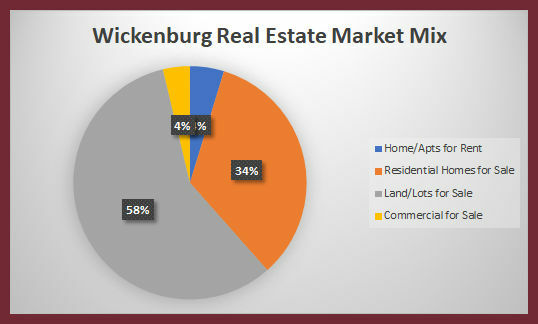 Wickenburg Homes Sales for October 2017, and Wickenburg Real Estate Market Update. Fully Furnished 2bdrm Horse Property Rental in Wickenburg Arizona. Close to town, mountain views, easy access to riding. This one won't last long! RENTAL... BRING YOUR HORSES...Fully furnished 2 bedroom, 1 bath home in the hills behind historic Remuda Ranch in Wickenburg Arizona. Great views overlooking the town of Wickenburg. Property includes a large barn and turn out areas. Perfect for the winter visitor. $3,000/month --includes Electricity, Water, TV, Internet, and Security system. Property does not include access to RV garage; NO pets inside the home. READY FOR IMMEDIATE OCCUPANCY! Minimum 1-month, up to 12-month. give me a call at 928-684-3911 - I´m happy to answer all your questions.